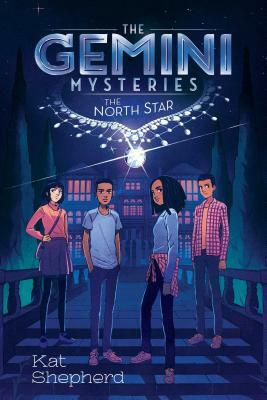 Join the Gemini Detective Agency and help the teenage sleuths solve the theft of a priceless necklace! With the help of their classmate Sophia Boyd, the Gemini Detective Agency is on the case! Will they be able to sort through the clues and solve the mystery in time? Readers will love this interactive mystery, where clues can be found throughout the illustrations at the end of each chapter! Kat Shepherd is an educational consultant and writer. A former classroom teacher, she believes that reading should be a joyful experience for every child. She lives in Minneapolis with her husband, two dogs, and a rotating series of foster dogs. Find out more about her at katshepherd.com.